Two high-speed computer-controlled production lines at our Jakarta plant are capable of producing a total of 3000 aluminum cans per minute. Cans ranging from 250 ML to 355 ML are available. UnitedCan’s aerosol containers are manufactured to strict tolerances, ensuring that high pressure is maintained within. Because it combines reliability, durability and promotional feasibility, the tin-coated steel container remains extremely appealing as a packaging alternative. 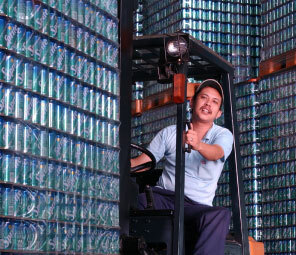 UnitedCan factories throughout Indonesia supply specialized containers for a wide variety of products and markets. By providing creative solutions for quality packaging, we are meeting the needs of food and beverage producers and consumers across the Indonesian archipelago and well beyond.